The bride’s dress is as evocative an emblem of a wedding as the cake and the kiss. Something in the frills and fabric paints a timeless and alluring appeal which, for many, is the focal point. There’s still such a heavy emphasis on what the bride’s wearing, who’s name’s on the label and whether (heaven forbid) it resembles a meringue. In amongst the scrutiny, it can be easy to overlook what the groom’s in. As men become increasingly fashion conscious and open about their appearance, there’s been a noticeable shift in the look of the wedding ceremony. The groom’s choice of threads has moved away from a dark suit and coloured tie combo into something altogether more urbane. Designer wear might be the first port of call, and there’s no shortage of stellar retailers across the county, but others might opt for a tailored approach. 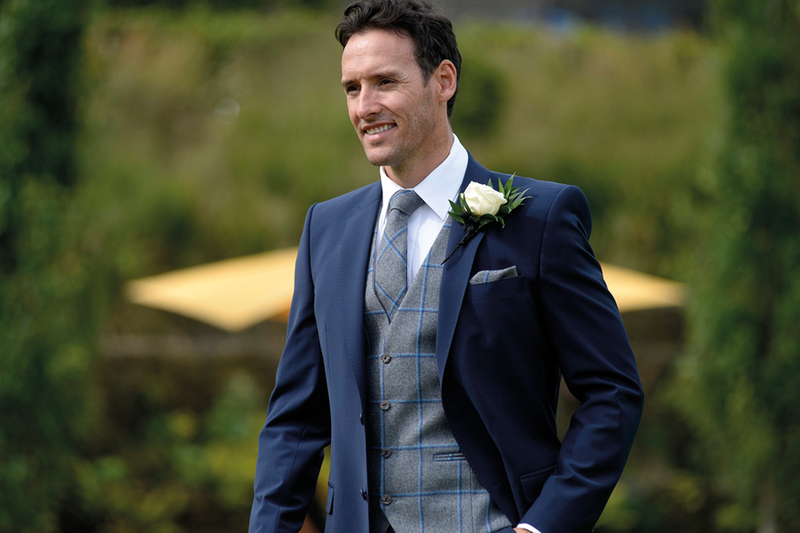 This way, a groom can choose the fabric, cut and colours of his suit to complement the chosen colour scheme or for a better fit than might be accomplished by on off-the-rack approach. It might be one of the more expensive options on offer, but it is guaranteed to deliver some of the best results. Grooms usually hire out a suit or tuxedo for the big day, and the choices available have grown to encompass a more elaborate and stylish ensemble. Settling on any one choice can be difficult, so it pays to try multiple options on and seek a second or even third opinion. It might be bad luck to see the bride in her dress before the big day, but no one said anything about the bride seeing the groom. The groom could also enlist the help of friends or other family members and make a day of it. Accessorising might be thought of something more for the bride and her maids, but with a choice in ties, cufflinks and pins, the groom can really curate his look to work with the wedding theme or just to stand out from the crowd. Opting for a cravat over a bow or necktie could make a huge difference between ordinary and sophistication, and make for some more dynamic photographs. 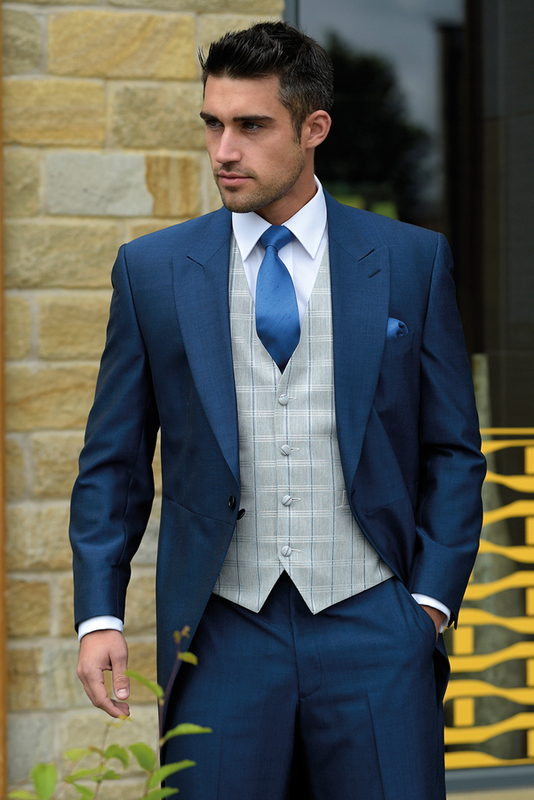 If a colour scheme hasn’t been specified on the invitation, then many men attending are inclined to opt for suit, shirt and tie combinations that are better suited to the House of Commons or worse, a funeral, and that’s hardly the image anyone wants to convey at a wedding. 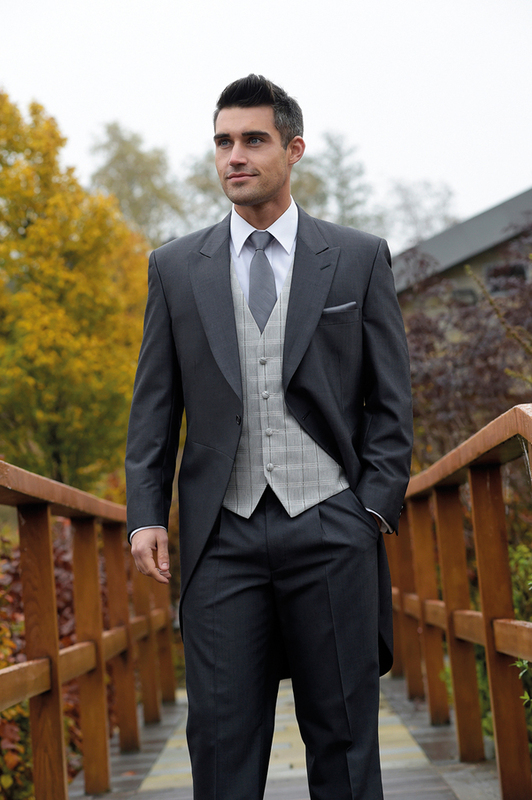 Letting male guests aware of recurring colours or themes in advance can allow them to dress accordingly. This is doubly true of the best man. The old adage of not outdoing the bride is good advice for the best man too, who might want to dress to complement the groom rather than compete. A wedding might still be billed as the bride’s big day, but the groom is expected to make more of an effort with his outfit. Lincolnshire can cater to every one of these needs, from flash new cufflinks, to designer and tailor made suits and top hats. If the devil is in the details, than it pays to make the littlest details count.